I'm Shree Janani, the owner of this blog. Engineering foots my bills while writing/reading fills my soul. I literally write about anything and everything - Books, Food, Travel, Lifestyle, Tech - but I'm slightly more inclined to write about books. I've been blogging since 2009 with various blog and pages. Readers' Muse was being the first full fledged review blog I wrote in and then came Book and Ink, which I ran independently. My writing finally found home and I managed to merge all my published posts in one place. I'm open to collaboration & review requests. I do have my own set of terms and conditions. You can read them here. PLEASE READ THIS POLICY! 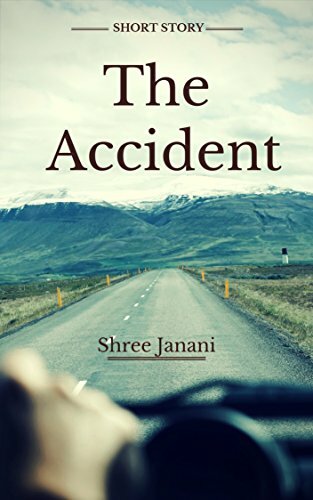 Write to me at my mail ID shreejanani at shreewrites dot com for review request, collaboration request or if you just want to talk to a bibliophile. I might take a couple of days to respond, but please be assured of a reply from me. My day job tends to drive me crazy frequently, hence the delay. ps. A L'ouest is a French word which literally translates to west-bound, but actually implies some one slightly crazy or different - Possibly the apt word to describe me, if you know me really well. pps. I've published a short story book - it's on Amazon. Do pick it up, if you are looking for a byte sized thriller. Go click on the cover!